Methyl farnesoate (MF), the predominant juvenile hormone-like compound found in crustaceans. In crustaceans, MF mediated growth was reported and succeeded in the laboratory, but was not done successfully at the field level. The present investigation is aimed to test the role of dietary MF on growth of crustaceans in the semi-controlled environment. To test this, MF was supplemented through commercial shrimp pellet diet to female freshwater crab Oziothelphusa senex senex (Oss) with a concentration of 10-9, 10-8 and 10-7 moles/crab in an every alternative day for about 40 days along with eyestalk ablated (ESX) and control groups. Dietary supplementation of MF enhanced the growth of female crab by inducing molt. The molt induction frequency found in this study as MF concentration 10-8 moles/crab > 10-9 moles/crab > 10-7 moles/crab ≤ ESX and recorded molt percentage of 25%, 12.5%, 10%, 7.5% respectively. Evidencing that the dietary MF supplementation induces growth in cultured crustaceans thereby increases the yield of the culture. Crustacean aquaculture plays an important role in producing quality protein, but is facing difficulties for quality protein production at the end. To attain more quality protein, methods are employed to induce growth. One of such popular conventional method to induce growth is eyestalk ablation (ESX), where unilateral or bilateral eyestalk ablation experiments were carried out (Venkitraman et al., 2010 and Amer et al., 2015). Removal of eyestalk causes increase in ecdysteroid secretion from Y-organ which induces precocious molting in many decapods (Techa et al., 2015, Allayie et al., 2011; Neelima et al., 2016). Though ESX induces growth, it promotes mortality due to loss of large amount of hemolymph. An effective alternative for ESX is hormonal manipulation with respect to molt regulation. Endocrine manipulation is nothing but exogenous administration of modulators and screening or observing its effect on molting. Past to present, the manipulation of crustacean molt has led to use of several endocrine modulators including external and internal molecules (Aktas et al., 2005; Sainath et al., 2011). The molt regulatory hormones, especially positive regulators supplementation accelerates the molt and growth in crustaceans. Molting is accelerated by endogenous hormone methyl farnesoate (MF), secreted from mandibular organ (MO) and ecdysteroids synthesized and released from Y-organs. The mandibular organs located at the base of the mandibular tendon, secretes the sesquiterpene MF and farnesoic acid (FA) (Tiu et al., 2012) MF (methyl-(2E,6E,10E)-3,7,11-trimethyldodecatri- 2,6,10-eneoate) is structurally similar to insect JHIII (methyl 9-(3,3-dimethyloxiranyl)-3,7-dimethyl-2,6-nonadienoate) differing only in the absence of an epoxide moiety at the terminal end. It has been identified in a large number of crustacean species including the crabs, shrimps, prawns, lobsters and crayfishes. After release from the MOs, the MF is transported in to hemolymph and finally to target tissues by binding with a protective lipoprotein known as MF-binding protein (MFBP). This plays a major role in molting (Tahya et al., 2016; Sunarti et al., 2016) and is considered an effective reproductive hormone (Laufer, 2001). Methyl farnesoate was first characterized in the spider crab Libinia emarginata (L. emarginata) (Laufer, 1987) since then identified in over 30 crustacean species. Secretion of MF from the crustacean MO is regulated through mandibular organ inhibiting hormone (MOIH) produced by the eyestalk X-organ sinus gland (Nagaraju, 2007). Though the ecdysteroids are known molt hormones, but MF is capable of inducing synthesis and release of ecdysteroids from Y-organs. Necessitate is to identify the yield enhancers of crustacean protein at this point of time and many laboratories are working in this direction. The induction of molt by direct injection of MF was well represented in literature. We have done MF induced molt studies in crab Oss and other crustacean species at laboratory conditions (Reddy et al., 2004; Srinivasa et al., 2016]. However these reports are constrained only to the laboratory and none of these are reached to culture ponds due to its difficulty in injecting MF to each and every culturing crustacean. Though the studies are focused to induce molt by supplementing the MF through diet, most of these are not successful at the field level. To connect the laboratory experiments to field levels, the present investigation is initiated to induce the growth by MF supplementation through commercially available feed at the semi-control pond environment in female crab Oziothelphusa senex senex. Collection of crabs: Freshwater intact female crab Oziothelphusa senex senex were obtained from rice fields in and around Kadapa (14° 28' 39N, 78° 49' 25E), A.P, India. Crabs were maintained in small semi controlled (natural) pond environment made with sand and sufficient amount of water in green house facility of Yogi Vemana University, Kadapa. Crabs were acclimatized to the pond conditions for about one week. The crabs were fed with commercially available shrimp feed ad libitum in every day and with recycled water and aeration. All the experimental and control animals were maintained in semi controlled conditions before, during and after the experimentation. Measurement of body weights: Animals after acclimatized to laboratory conditions, body weights are measured on the initial day of experiment and during the experiment before sacrificing, with the help of electronic balance (Shimadzu AY220). All the female crabs used in the experiment are bearing body weight of 25 ± 2 g.
Dosage of MF: The stock test chemical MF was purchased from Echlon Biosciences, Salt Lake City, USA and purchased other chemicals from Merck, Mumbai, India and HiMedia Private Limited Laboratories, Mumbai, India used in the present study. MF was dissolved in 95% ethanol and diluted with crab ringer solution (6.5 g NaCl, 0.42 g KCl, 0.25 g CaCl2 and 0.2 g of sodium bicarbonate) so that the final concentration of ethanol was made into 10%. According to Reddy (Reddy, 1991) hemolymph was calculated as 27% of body mass in the fresh water crab Oss and the volume of hemolymph and supplemented volume of MF is calculated according to Reddy (Reddy et al., 2004; Tamone et al., 1993). The commercially available shrimp pellets were purchased and are dried with 10-9, 10-8 and 10-7 moles of MF/each 100 mg pellets in three separate preparations. Eyestalk ablation (ESX): Both the eyestalks were removed from the crabs by cautering the eyestalk at the base without prior ligation but which cautery of the wound after operation. Eyestalk ablation (ESX) deprives the crab from eyestalk hormones as they regulate the major physiological processes like molting in crustaceans. Identification of molting stages: Molt stages were determined based on morphological changes in the decapods during the molting cycle(Hosamani et al., 2016). At stage D0–D1 (early premolt) the pigment retracts from the bases of the setal nodes, leaving the old cuticle and during D2–D4 (late premolt) the new developing setae are observed. For molting stages determination live crabs were checked daily and the selected animals were placed on ice for determining the molt stages. About five small ponds were maintained with labelled 40 female crabs in each. Pond one and two served as control and ESX groups and other three for 10-9, 10-8 and 10-7 moles of MF/each 100 mg pellets supplemented to each animal every alternative day. The control and ESX animals were fed with normal pellet diet. The crabs from each group are sacrificed on 10th, 20th, 30th and 40th day of experiment to check the molt stages except control group where some of them sacrificed on 0th day. Molt stages were determined based on the setal development in the mastigobranch of 3rd maxillepede. The changes in the setal development are observed under phase contrast microscope (Olympus, Model BX41TF, Japan) and molt frequency was examined. The molt frequency was determined on 10th, 20th, 30th and 40th day of experiment in all experimental groups along with ESX and controls. No mortalities were recorded in experimental groups except in ESX animals. Throughout the experimental period the control crabs are in C4 (intermolt) stage only. In case of ESX, on day 10 observed majority are in C4 stage (38.46%) and some were in D1 (early premolt stage) (23.08%) stage. About 38.46% mortality observed on 10th day of experiment in ESX group. Observed most of MF 10-9 moles/crab supplemented females were in early premolt stage D1 (80%) and only 20% in C4 stage on 10th day of experiment. The animals supplemented MF 10-8 moles/crab were in premolt stages D1 (70%) and D2 (30%) on day 10 of experiment. The molt stages C4 (50%) and D1 (50%) were observed in crabs supplemented with 10-7 moles/crab of MF on day 10 of experiment (Table 1). The values in the parenthesis represent the number of animals in followed by percentage of each stage or sub-stage or molt and died animals on the respective day of experiment. Table 1: Methyl farnesoate pellet diet induced molt in female crab Oziothelphusa senex senex. ESX crabs on day 20, were observed in early premolt D1 (50%) and middle premolt D2 (30%) stages. About 20% mortality was recorded on the same day in ESX group. In case of MF 10-9 moles/crab supplemented animals, they were in middle premolt D2 (60%) and late premolt D3 (40%) stages. The group MF 10-8 moles/crab supplemented were found in premolt D2 (30%) and D3 (50%) stages and 20% crabs were molted on day 20. Premolt stages D1 (60%), D2 (20%) and D3 (20%) were observed in crabs supplemented 10-7 moles/crab of MF on this day. On day 30 of experiment ESX crabs were in premolt stages D2 (22.22%), D3 (33.33%), D4 (11.11%) and some were molted (11.11%). In the same group observed 22.22% mortality on this day. In case of MF 10-9 moles/crab supplemented were found in the molt stage D2 (30%), D3 (20%), D4 (30%) and some were molted (20%). observed crabs supplemented MF 10-8 moles/crab in premolt stages D3 (20%) and D4 (50%), and molted (30%). About 20% molted, 40% D3 and 40% D4 were observed in crabs supplemented 10-7 moles/crab of MF on 30th day of experiment. ESX group on 40th day of experiment were found in late premolt D3 (50%), D4 (25%) and 25% molted. The animals supplemented MF 10-9 moles/crab entered into premolt stage D3 (40%) and D4 (30%), and molted (30%). In case of MF 10-8 moles/ crab supplemented was present in premolt stage D3 (50%) and molted (50%). Observed premolt stage D3 (30%) and D4 (50%), and molted (20%) in group supplemented 10-7 moles/crab of MF on 40th day of experiment. The molt induction frequency of MF from the present results in female crabs is summarized as 10-8 moles/crab >10-9 moles/ crab >10-7 moles/crab ≤ ESX. This is support with highest molt percentage (25) was recorded in MF 10-8 moles/crab supplemented group followed by 10-9 moles/crab group (15.5%) and 10% in 10-7 moles/crab and 7.5% in ESX groups (Table 2). Table 2: The overall percentage of molt in eyestalk ablated (ESX) and methyl farnesoate supplemented female crabs. Molt induction was reported in ESX female crabs in the present study. Similar reports was noted in many crustacean species like Macrobrachium rosenbergii (Sanjeevraj et al.,1997), Aphanomyces astacus (Gydemon et al., 1988), Procambarus clarkii (Chen et al., 1995), Mangelia dobsoni (Venkitraman et al., 2004), L. emarginata (Rotllant et al.,2000) and Scylla serrate (S. serrata) through eyestalk ablation technique. Eyestal ablation removes molt regulatory principles occurs in the eyestalks. The two major hormones of eyestalk are molt-inhibiting hormone (MIH) and mandibular organ inhibiting hormone (MOIH). Molt inhibition is the primary function of MIH and MOIH in crustaceans. Eyestalk is a key organ for molt regulation due to presence of inhibitory principles (Hosamani et al., 2017). It is clear from the present study that ESX leads to removal of MIH and MOIH the inhibitory principle of molt. However, ablation of eyestalk is failed due to loss of hemolymph by cautery at the base of eyestalk and loss of several other physiological factors including loss of eyestalk hormones in spiny lobster Panulirus argus (Quackenbush et al., 1981) and in other crustacean species. This is in agreement with the results of present study where 17.5% mortality reported in eyestalk ablated group. The role of dietary supplementation of MF and its minimum effective concentration in inducing molt were determined in the present study in crab Oss maintained in semi-controlled environment. Out of three concentrations of MF tested, 10-8 moles/ crab dietary supplemented is found more effective molt inducer in female crab Oss. Moreover, the dietary MF at 10-9 and 10-7 moles/ crab are also inducing molt in females. A number of studies were proved the molt induction capacity of MF injection in many crustacean species. In Oss molt induced studies were done with MF injections in laboratory (controlled) conditions (Neelima et al., 2016). It is reported in the same study that MF reduces the molt interval to 14 days i.e., within 2 weeks in both in males and females crabs. Besides Oss MF induced molt was studied in crustaceans like Cherax quadrcarinatus (Abdu et al., 2001), Cancer magister (Tamone et al., 1993) Litopenaeus vannamei (Tariq et al., 2014) L. emarginata (Hosamani et al.,2019), S. serrate (Girish et al., 2015), Portunus trituberculatus (Xie et al., 2015) , Neocaridina denticulate (Sin et al., 2015), Metapenaeus ensis (Gunawardene et al., 2002), Homarus americanus (Homola et al.,1997), Penaeus monodon (Suneetha et al., 2010), Chionectes opolio (Marilyn et al., 2014), and Scylla olivacea (Akbar et al., 2016). On the other hand ecdysteroids from Y-organs are also released by MF thereby in molt induction. However, it is proved from the present study that dietary MF supplementation induced the molt in female crab. But the clear mechanistic action of MF on molt induction is not clear. It is predicted to be by direct induction or by releasing the ecdysteroids or both. In the present experiment it is clear that the molt induction frequency of MF at 10-8 moles/crab supplemented through diet is showing high than other MF treatment groups in female crabs. The function of MF is to promote the molt cycle through induction of MH synthesis and release thereby growth in crustaceans. It is clear that dietary supplementation of MF induces molt effectively with reduced molt cycle durations than positive control ESX group in crab Oss. Moreover the MF 10-8 moles/crab supplemented crabs also showing reasonably good numbers with molt induction. This report is a base for implementing growth of crustaceans at the farm level. However, no recorded studies are available on dietary supplementation of MF for testing growth at semi-natural aquatic environment (Hosamani et al., 2017). The present investigation is giving a base to increase the yield of crustacean protein at the pond level by supplementing MF through pellet diet. Since the dietary MF supplementation induces the molt by reducing the length of natural molt cycle in the crab Oss grown in semi-controlled environment, it may directed to the semi-controlled crustacean cultures and gradually to the open pond system. This study provides a base to initiate and test the dietary supplementation of other endocrine manipulators for growth in cultured crustacean species at the pond level. Moreover,	the molecular mechanistic action MF on molt induction is open for researchers to find out and to proceed further. However, MF dietary supplementation can serve for increasing the crustacean protein by reduced crop periods thereby reduced utilization of feed and pond management. Venkitraman, P.R., Jayalakshmy, K.V., Balasubramanian, T. (2010) Effect of eyestalk ablation on moulting and growth in penaeidprawns: Metapenaeus monoceros. Indian J Fish 57, 25-32. Amer, M.A., Awaad, A.M., Sayed, A., Khalid, A., Damhougy, A.I. (2015) Inducing molting by eyestalk ablation in the red swamp crayfish, Procambarus clarkii from the egyptian freshwaters. Am J Life Sci 3, 69-75. Techa, S., Chung, J.S. (2015) Ecdysteroids regulate the levels of Molt-Inhibiting Hormone (MIH) expression in the blue crab, Callinectessapidus. PLoS ONE 10, e0117278. Allayie, S.A., Ravichandran, S., Bilal, A.B. (2011) Hormonal regulatory role of eyestalk factors on growth of heart in mud crab Scylla serrata. Saudi journal of biological sciences 18, 283-286. Neelima, H., Reddy, R.P., Reddy, S.P. (2016) Natural and induced (eyestalk ablation) molt cycle in freshwater rice field crab Oziothelphusasenexsenex. J Aquac Res Development 7,4. Aktas, M., Kumulu, M. (2005) Gonadal maturation and spawning in Penaeus semisulcatus Hann, 1844 by hormone injection. Journal of Zoology 29, 193-199. Sainath, S.B., Reddy, P.S. (2011) Effects of selected biogenic amines on reproduction in the freshwater edible crab, Ozitelphusasenexsenex. Aquaculture 13, 144-148. 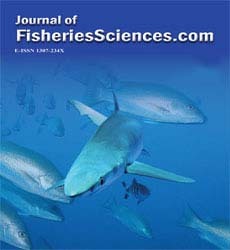 Tiu, S.H., Hult, E.F., Yagi, K.J., Tobe, S.S. (2012) Farnesoic acid and methyl farnesoate production during lobster reproduction: possible functional correlation with retinoid X receptor expression. Gen Comp Endocrinol. 175, 259-269. Tahya, A.M., Zairin, M.J.R., Boediono, A., Artika, I.M., Suprayudi, M.A. (2016) Expression of RNA encodeFAMeT in mandibular organ of mud crabs Scylla olivacea. I J Pharmtech Resear 9, 219-223. Sunarti, Y., Soejoedono, R.D., Mayasari, N.L.P.I., Tahya, A.M. (2016) RNA expression of farnesoic acid Omethyltransferase in mandibular organ of intermolt and premolt mud crabs Scylla olivacea. AACL Bioflux 9, 270-275. Laufer, H., Biggers, W.J. (2001) Unifying concepts learned from methyl farnesoate for invertebrate reproduction and post-embryonic development. Amer Zool 41, 442-457. Laufer, H., Borst, D., Baker, F.C., Reuter, C.C., Tsai, L.W., et al. (1987) Identification of a juvenile hormone-like compound in a crustacean. Science 235, 202-205. Nagaraju, G.P.C. (2007) Is methyl farnesoate a crustacean hormone. Aquaculture 272, 39-54. Reddy, P.R., Nagaraju, G.P.C., Reddy, P.S. (2004) Involvement of methyl farnesoate in the regulation of molting and reproduction in the freshwater crab Oziotelphusa senex senex. J Crust Biol24, 511-515. Reddy, S.B., Sridevi, V., Neelima, H., Reddy, S.P. (2016) Regulation of vitellogenesis by selected endocrine modulators in crab Oziothelphusasenexsenex, with special reference to methyl farnesoate. Aquaculture reports 3, 24-30. Reddy, P.S. (1991) Neuroendocrine control of molting in the freshwater field crab Oziotelphusa senex senex Fabricius.Tropical Freshwater Biology 2, 213-222. Reddy, P.R., Nagaraju, G.P.C., Reddy, P.S. (2004) Involvement of methyl farnesoate in the regulation of molting and reproduction in the freshwater crab Oziotelphusasenexsenex. J Crust Biol 24, 511-515. Tamone, S.L., Chang, E.S. (1993) Methyl farnesoate stimulates ecdysteroid secretion from crab Y-organs in vitro, General. Comp. Endocrinol 89, 425-432. Hosamani, N., Pamuru, R.R., Pamanji, S.R. (2016) Natural and Induced (Eyestalk Ablation) molt cycle in freshwater rice field crab oziothelphusa senex senex. J Aquac Res Development 7, 424. Sanjeevraj, G., Ravikumar, B., Gopalakrishnan, P. (1997) Effect of eyestalk ablation on molting and growth of different size groups of Macrobrachiumrosenbergii, Proceedings of the National Seminar on water quality issues in aquaculture systems. 147. Gydemon, R., Westin, L. (1988) Investigation on eyestalk ablation in Astacusastacus. Journal of Aquatic Production 2, 155-171. Chen, S., Jingwei, W., Huner, J.V., Malone, R.F. (1995) Effects of temperature upon ablation-to-molt interval and mortality of red swamp crawfish (Procambarusclarkii) subjected to bilateral eyestalk ablation. Aquaculture 138, 205-217. Venkitraman, P.R., Jayalakshmy, K.V., Balasubramanian, T., Maheswari, N., Nair, K.K.C. (2004) Effects of eyestalk ablation on molting and growth of penaeid prawn Metapenaeusdobsoni (de Man). Indian Journal of Experimental Biology 42, 403-412. Rotllant, G., Takac, P., Liu, L., Scott, G.L., Laufer, H. (2000) Role of ecdysteroids and methyl farnesoate in morphogenesis and terminal moult in polymorphic males of spider crab Libiniaemarginata. Aquaculture 190, 103-118. Hosamani, N., Reddy, S.B., Reddy, R.P. (2017) Crustacean Molting: Regulation and effects of environmental toxicants. J Marine Sci Res Dev 7, 236. Quackenbush, L.S., Herrnkind, W.F. (1981) Regulation of molt and gonadal development in the spiny lobster, Panulirusargus (Crustacea; Palinuridae), effect of eyestalk ablation. Comp Biochem Physiol 69, 523-527. Abdu, U., Barki, A., Karplus, I., Barel, S., Takac, P., et al. (2001) Physiological effect of methyl farnesoate and pyriproxyfen on wintering female crayfish Cheraxquadricarinatus. Aquaculture 202, 163-175. Tariq, A., Kim, B.K., Kang, H.E., Yoon, T.H., Kim, H.W. (2014) Stimulation of molting and ovarian maturation by methyl farnesoate in the pacific white shrimp Litopenaeusvannamei (Boone, 1931). Fish AquatSci 17, 115-121. Xie, Xi., Dongfa, Z., Yan, Li., Xier, Q., Xiaoyu, C., et al. (2015) Hemolymph levels of methyl farnesoate during ovarian development of the swimming crab PortunusTrituberculatus, and its relation to transcript levels of HMG-CoA reductase and farnesoic acid O-methyltransferase. Biol Bull 228, 118-124. Sin, Y.W., Kenny, N.J., Qu, Z., Chan, K.W., Cheong, S.P., et al. (2015) Identification of putative ecdysteroid and juvenile hormone pathway genes in the shrimp Neocaridinadenticulata. Gen Comp Endocrinol 214, 167-176. Gunawardene, S.Y.I.N., Tobe, S.S., Bendena, W.G., Chow, B.K.C., Yagi, K.J., et al. (2002) Function and cellular localization of farnesoic acid O-methyltransferase (FAO-MeT) in the shrimp, Metapenaeusensis Eur J Biochem 269, 3587-3595. Homola, E., Chang, E.S. (1997) Methyl farnesoate: crustacean juvenile hormone in search of functions. Comp Biochem Physiol 117, 347-356. Suneetha, Y., Naga, J.P., Reddy, S.M. (2010) Impact of methyl farnesoate in the regulation of molting and reproduction in the Tropical Penaeid Prawn PenaeusMonodon. Global Journal of Biotechnology and Biochemistry 5, 226-230. Marilyn, A.F., Zaleski, Sherry, L., Tamone. (2014) Relationship of molting, gonadosomatic index, and methyl farnesoate in male snow crab (Chionoecetesopilio) from the eastern bering sea. Journal of crustacean biology 34, 764-772. Akbar, M.T., Muhammad, Z., Arief, B.M.A., Muhammad, A.S. (2016) Important role of mandibular organ in molting, growth, and survival of mud crabScylla olivacea. I J Chem Tech Resear 9, 529-533.